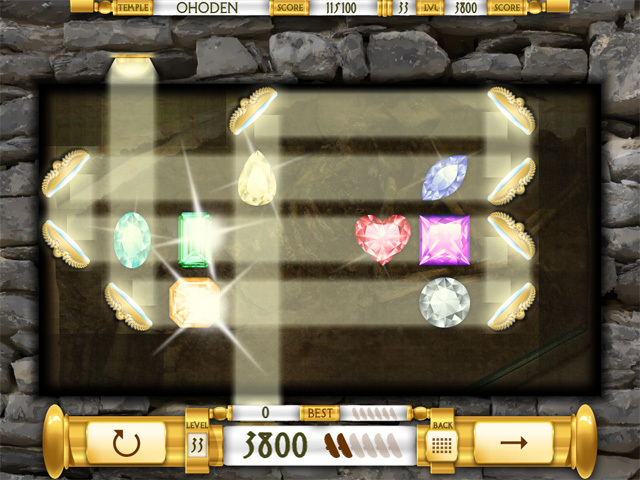 Van der Veer Games. Temples of the Sun. A Puzzler's Dream! 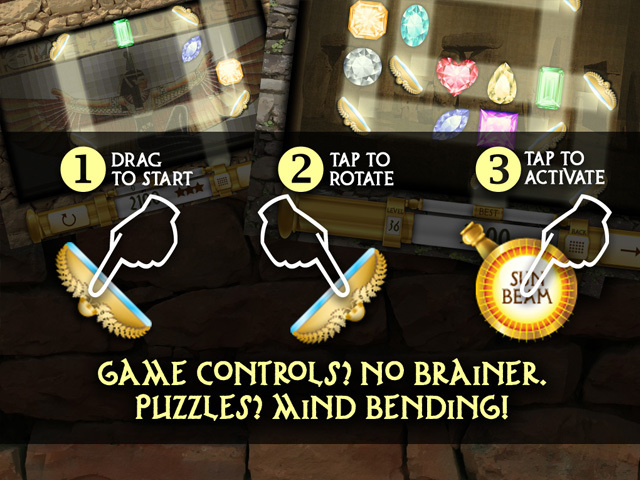 Mind-bending, sun-reflecting, gem-collecting puzzles! 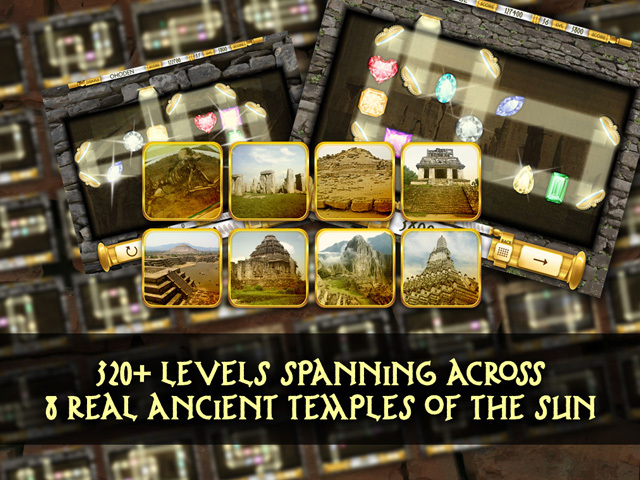 TEMPLES OF THE SUN FEATURES: 2 Modes of play, 8 ancient city sun temple location, 320+ mind-boggling levels, OpenFeint leaderboards & achievements, Facebook connect, Simple game controls, Beautiful HD graphics, Music by Kevin MacLeod. 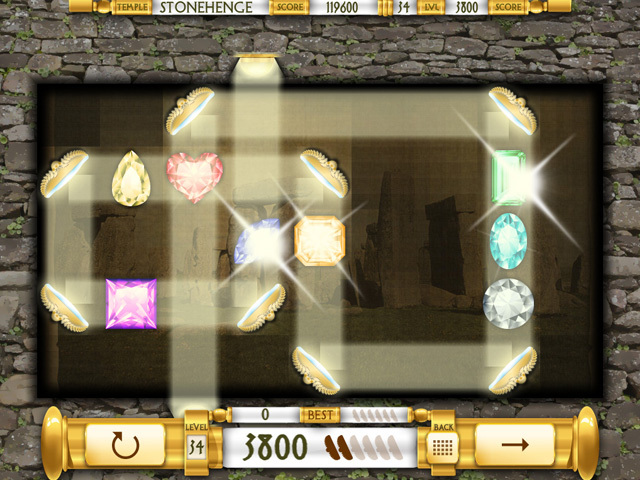 Deep beneath the world's ancient sun temples untold treasures await, can you travel across the globe collecting them all ? 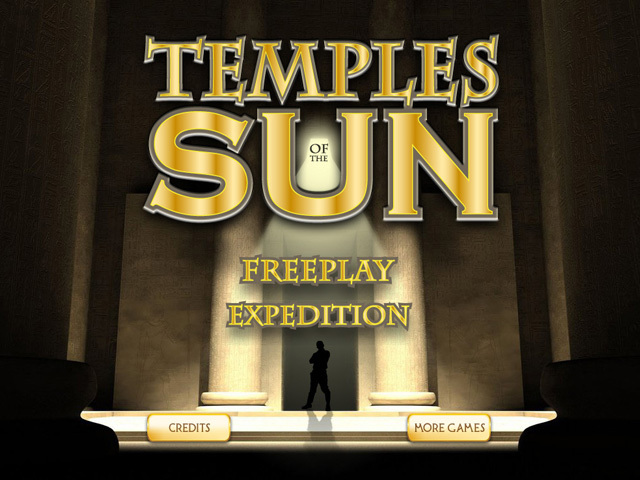 Welcome to TEMPLES OF THE SUN, the mind-bending, sunbeam-reflecting, gem-collecting puzzle game set deep beneath the world's ancient temples of the sun. GAME CONTROLS Drag and drop your mirrors to reflect the sunbeam in the direction you want it to go. Tap on the mirror to adjust its direction. 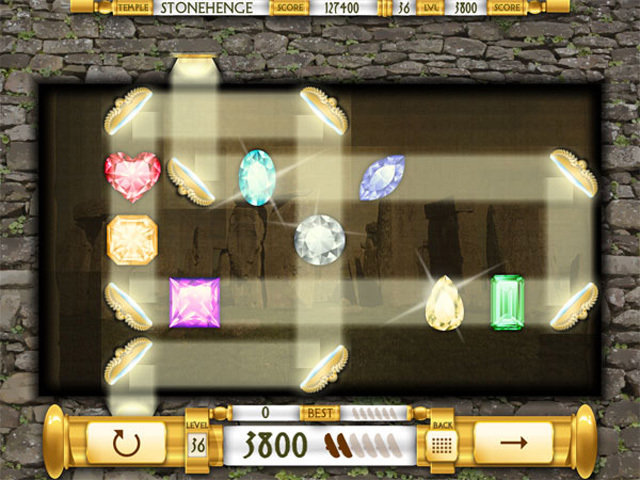 FREEPLAY GAME MODE Play solo or enjoy up to 4-player challenge matches. 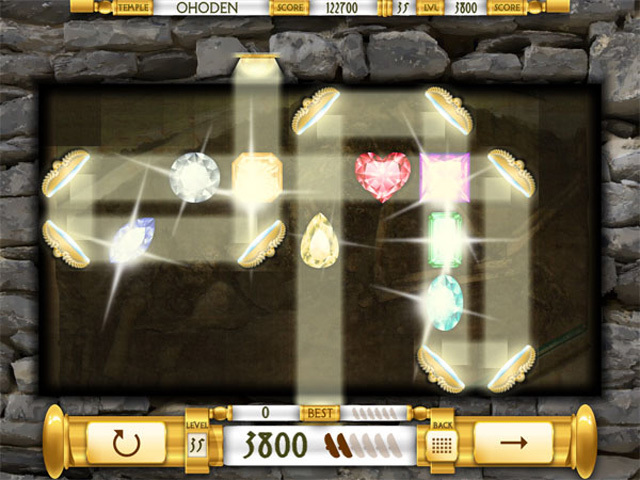 Simply use your mirrors to reflect the sunbeam to the exit, collecting as many gems as you can along the way. How much can you score with only 100 mirrors? 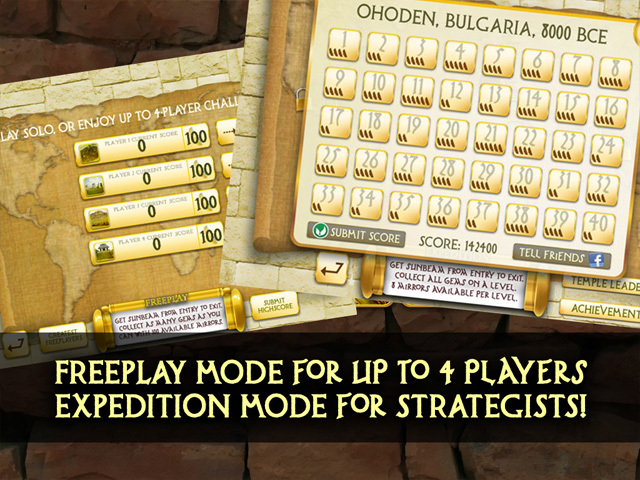 EXPEDITION GAME MODE Travel to 8 of the world's real Sun Temples. Use your mirrors reflect the sunbeam to the exit, BUT you mst collect every gem to unlock the next level. 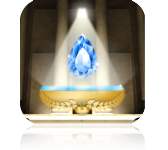 Completing all 40 levels in a city allows you to enter the next city temple!